- Rose Macaulay, Pleasure of Ruins. 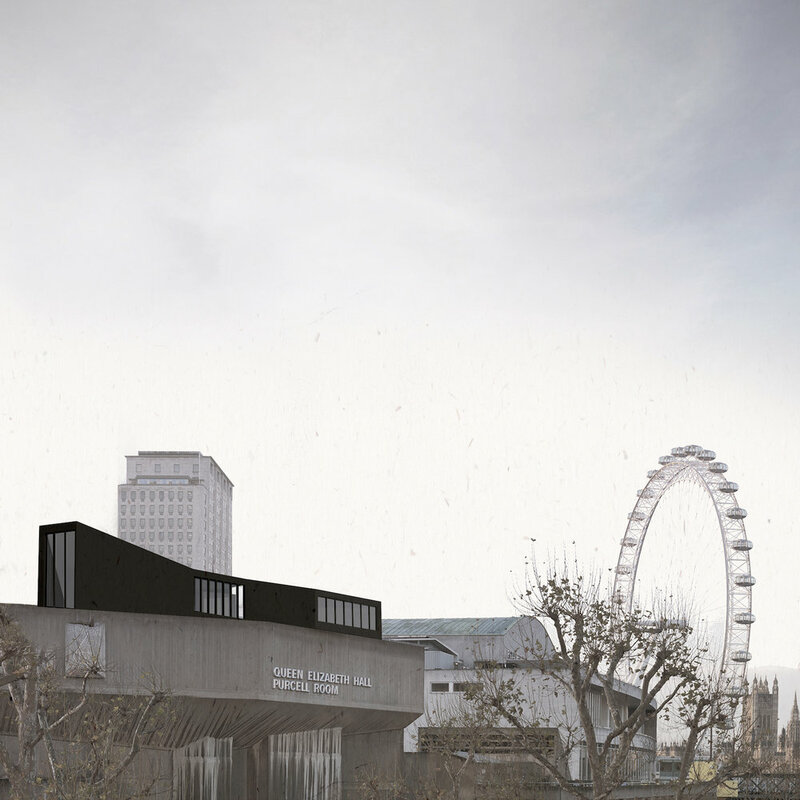 In 2011 Living Architecture and Artangel in association with the Southbank Centre and the London 2012 Festival launched a competition seeking designs for "A Room for London". The room was to sit on top of the Queen Elizabeth Hall roof at the Southbank Centre in London and allow up to two guests at a time a chance to spend a unique night overlooking the City. Inspired by natural forms and systems, the building is imagined perched on the halls as an urban epiphyte, using its host only for structural support and extracting its energy and water needs from the sun and rain. The room is made from layers of surface; a natural structure of stem, vein, skin and leaf. Each is deliberately articulated to lighten a delicacy of construction, in direct contrast to the monumentalism of aggregated walls that form the Southbank. The articulation of folds will be prefabricated in panels which are craned onto to the rooftop, fitted together and anchored to their site. Fixed furniture and service elements will be installed as prefabricated pods to enable simple connections and speedy erection.